'Godcast' for iPod on the way? 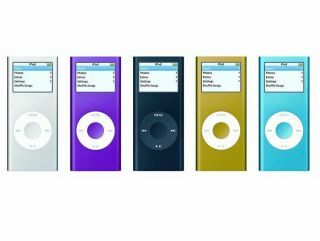 An assembly of Catholic bishops in Rome has called for the church to take greater steps in embracing technology – suggesting that the word of God should be spread through iPods. The Vatican famously had one of the earliest existing websites, and has been no slouch in using technology to spread the word, but a Bishops' think tank believes that things need to be stepped up. "The voice of the Divine Word must resonate over the radio, on Internet channels with virtual distribution (and by) CDs, DVDs and iPods, and on television and cinema screens," an official statement said. Of course, the past week has seen a humanist campaign raise enough money, with the backing of Richard Dawkins, to advertise in London. Church-going has suffered a major decline in the UK, but would an advertising campaign on our favourite technologies stop the rot?